Outfitted with the latest high-tech hospital equipment, CMI is among a growing trend of new multi-million dollar private hospital investments sprouting up throughout Mexico. The CMI Medical Center is home to over 55 medical specialists and sub-specialists, a physical rehabilitation center, a dialysis center, digital radiology center (CT, OPEN MRI), pathology lab, clinical laboratory, pharmacy, hospital and outpatient surgical center. Hospital Centro Medico Internacional (CMI) has quickly positioned itself as the premier medical facility in the region and offers 24 hour emergency care by board certified physicians trained in Advanced Cardiac Life Support as well as Advanced Trauma Life Support. Although insured patients (from Mexico and the US) comprise the bulk of CMI’s clientele. CMI does offer very competitive pricing options for cash paying patients, which maybe of particular interest to the 47 million uninsured people currently living in the United States. What are Mexico’s challenges with respect to Medical Tourism? The struggles of tapping in to any new market are endless, however, a key challenge for Mexico to overcome will be the continued investment in the latest and most Advanced Medical Technology. A genuine commitment to deliver quality healthcare as defined by international standards implies investing in the best technologies available. Currently, the high technology hurdle reduces the number of global healthcare providers in Mexico to a few national hospital chains and a handful of regional hospitals, like Centro Medico Internacional. What exactly is Medical Tourism? Originally, medical tourism was a term used by travel agencies to describe the practice of traveling to another country to obtain health care. 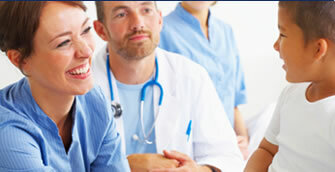 The industry bundled attractive medical packages with leisure aspects either before or after the surgery. How big is the Medical Tourism Industry? It’s huge, and it’s growing exponentially. India alone brings in over $1 billion in revenues a year in medical tourism, and this number is expected to increase to $5 billion by the year 2012. They have become experts at marketing their talents worldwide. What are the growth prospects for Medical Tourism in Mexico? The idea of getting an affordable surgical procedure and a “piggy-back” vacation for 50% less than the total cost of the procedure alone in the US has gained popularity, especially with elective surgeries like Plastic surgery. What are the keys to success in the Medical Tourism Industry? Quality, Speed (in programming) and Competitive Pricing are the key factors in successfully delivering global healthcare, but the greatest of them all is Quality. If you want to compete in the global marketplace then you have to be able to deliver quality care, consistently. This requires recruiting the best medical talent, investing in their continued development and upholding international standards of care with respect to treatment protocols and hospital infrastructure/technology. WEB DESIGN BY OLE DESIGN INC.